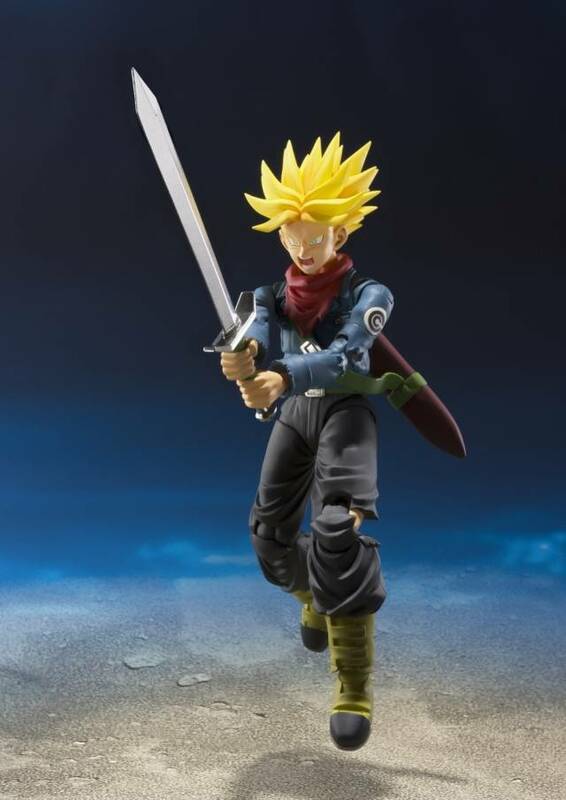 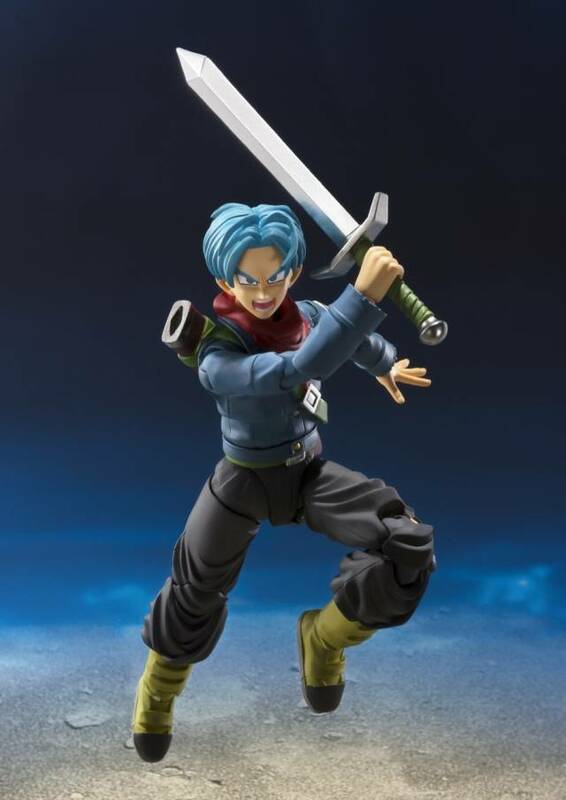 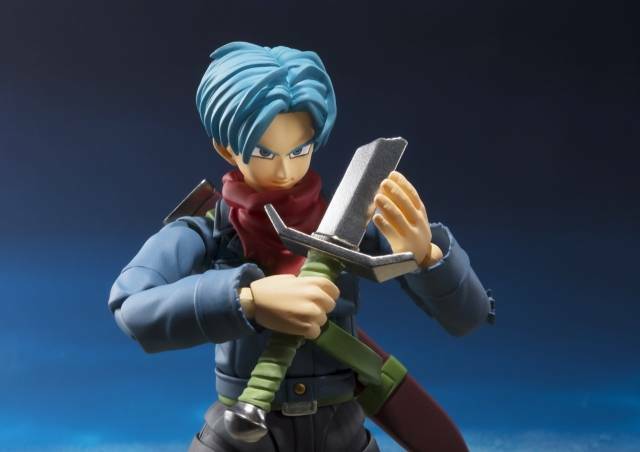 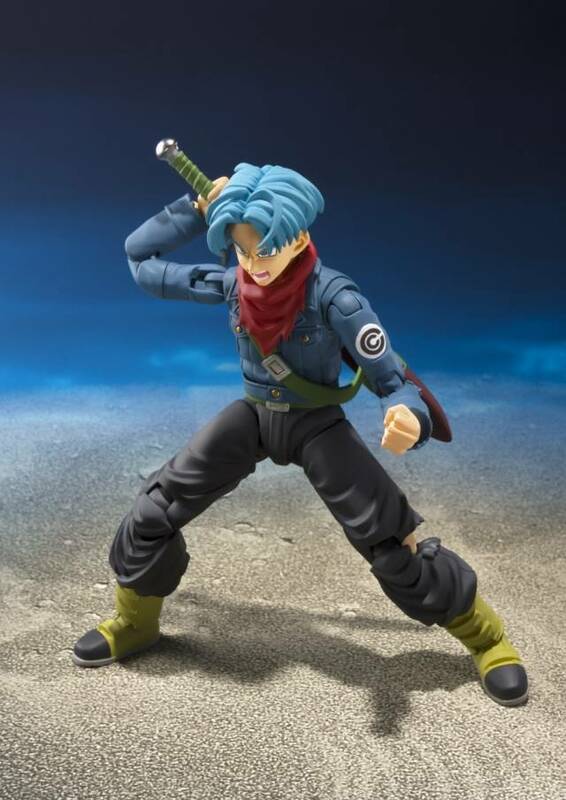 Trunks from the future, as seen in his epic confrontation with Goku Black! 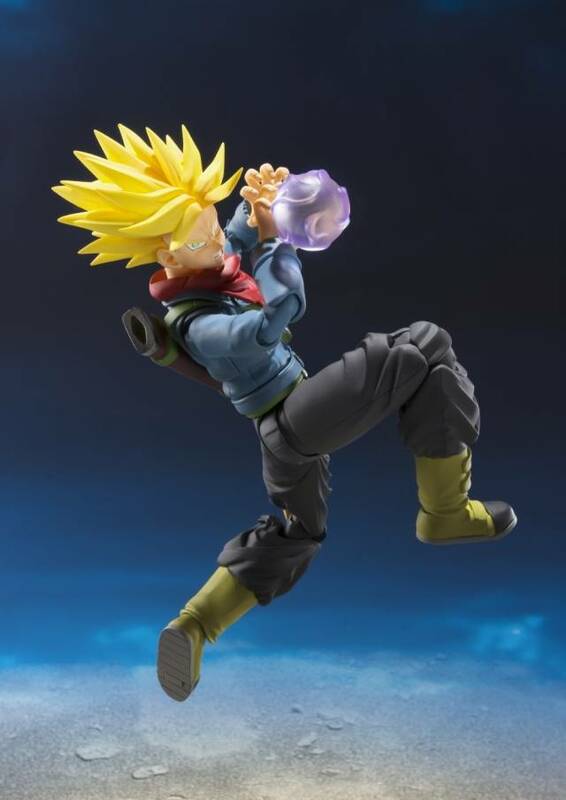 Highly posable so that you can re-create dramatic battle scenes. 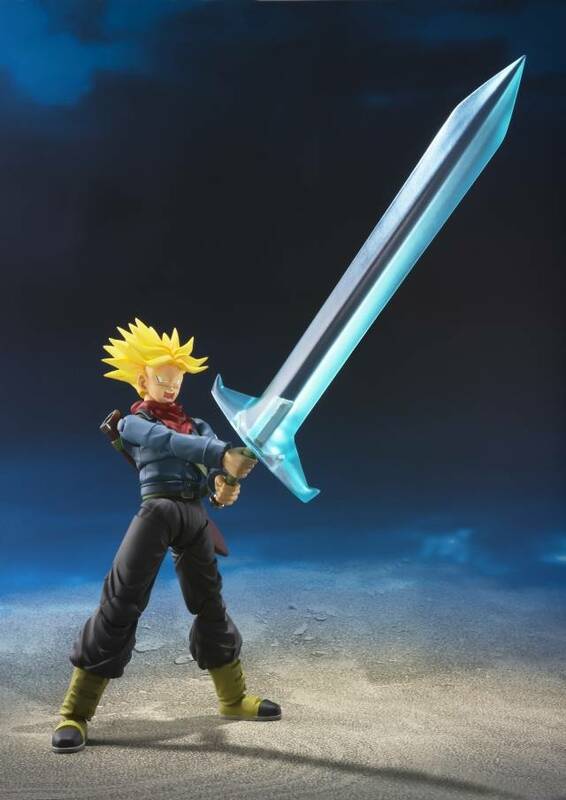 The set comes with four left and three right option hands, Super Saiyan Head, three optional expressions, Galick Cannon effect, Sword, Hope Sword effect.